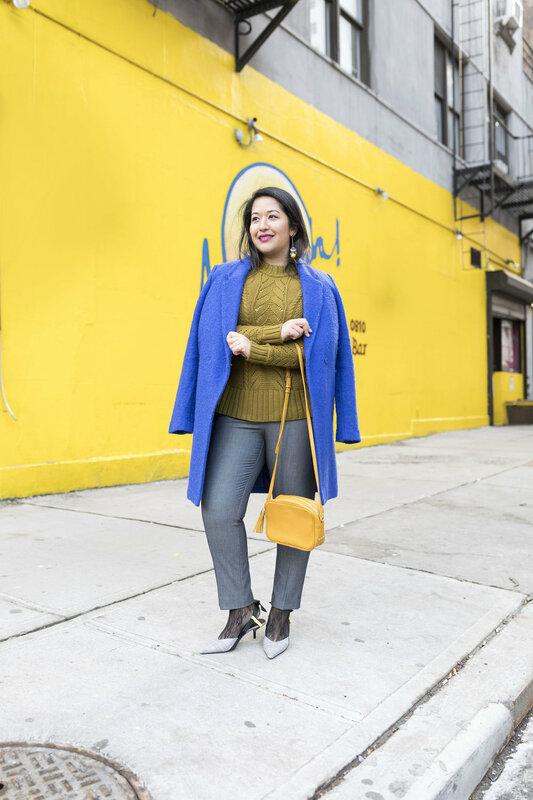 Are you struggling to find cute work wear looks this winter? Every year, I struggle with the same problem! I get so bored of the basic black slacks and neutral colored blouses. 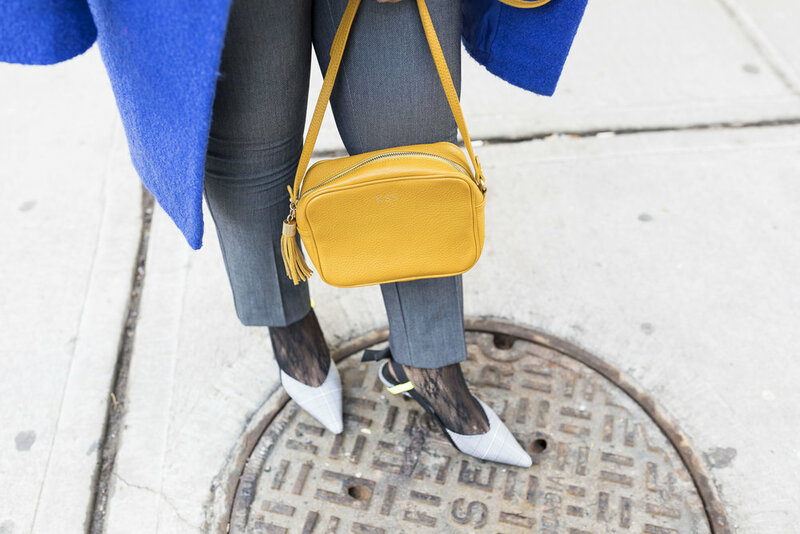 This year, I'm adding some extra color, fun prints, textured knits, and feminine accents into my work outfits. 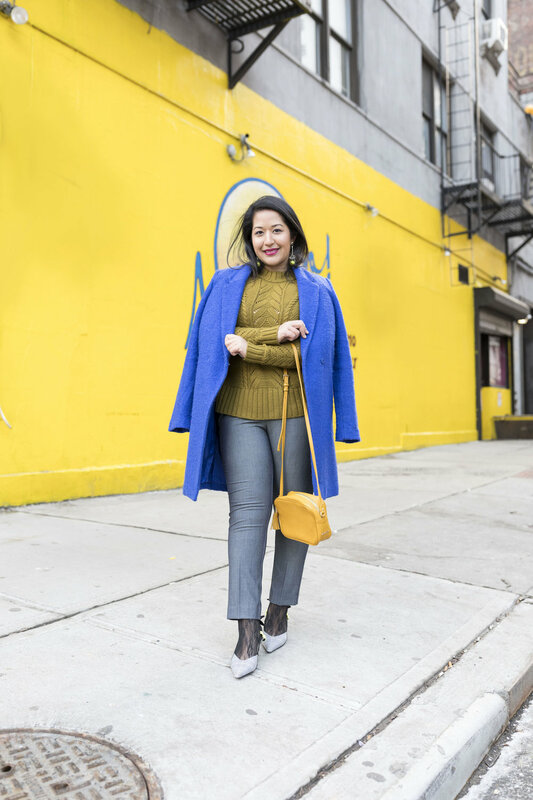 An easy way to add color into your work wear is my wearing a colored sweater. It will keep you warm in the winter and create a bold statement. Try out a chunky knit sweater that has a cool design. The knitted texture will add another element of interest to a simple work look. 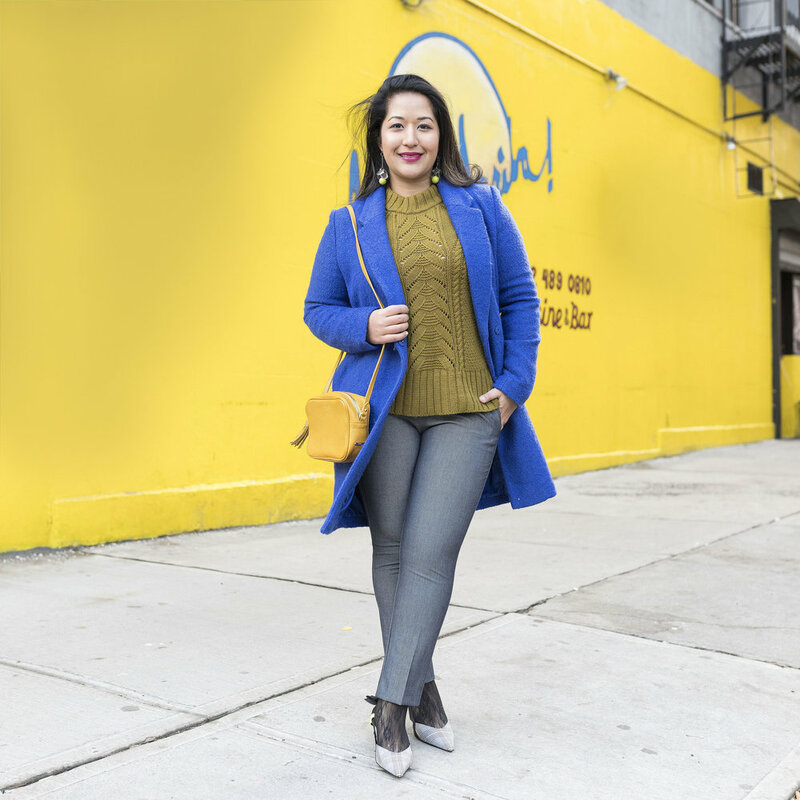 I love colors like burgundy, red, blush, olive green, and mustard for a pop sweater color. 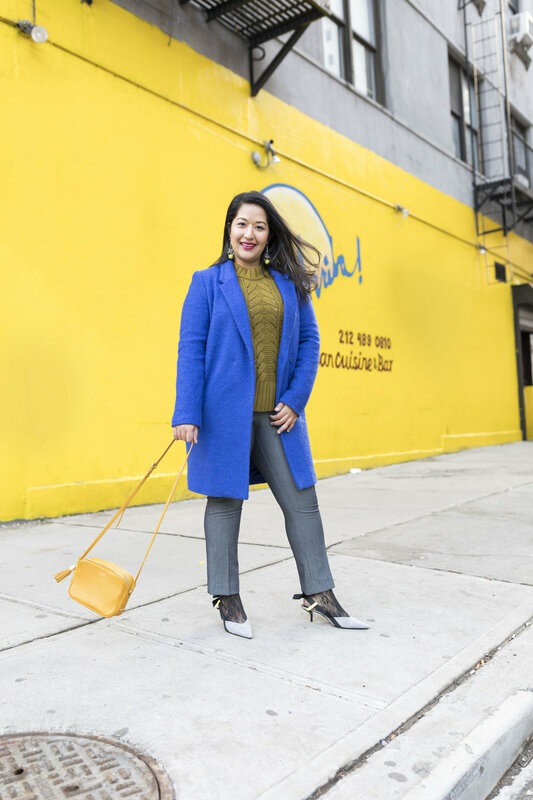 Add more color with a bold colored tailored coat. This will create a modern color block outfit. 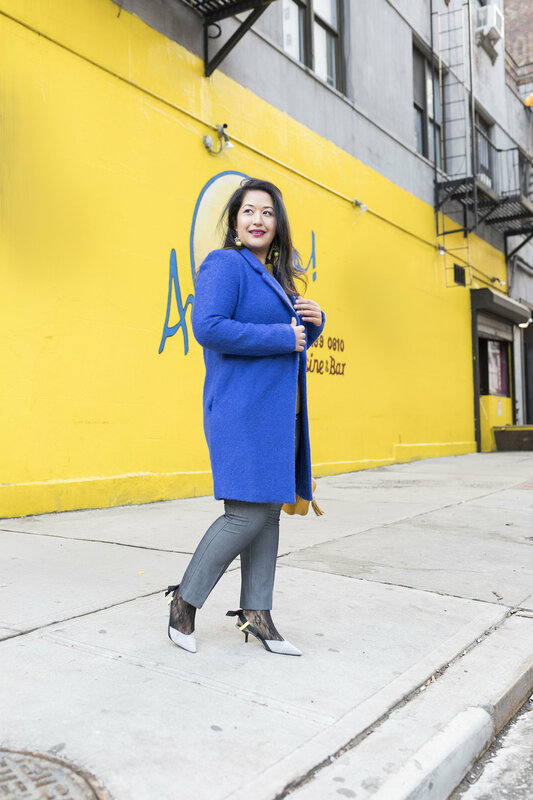 It may seem like a bold colored coat isn't wearable but they look great with an all black look or even mixed with other colors and prints. 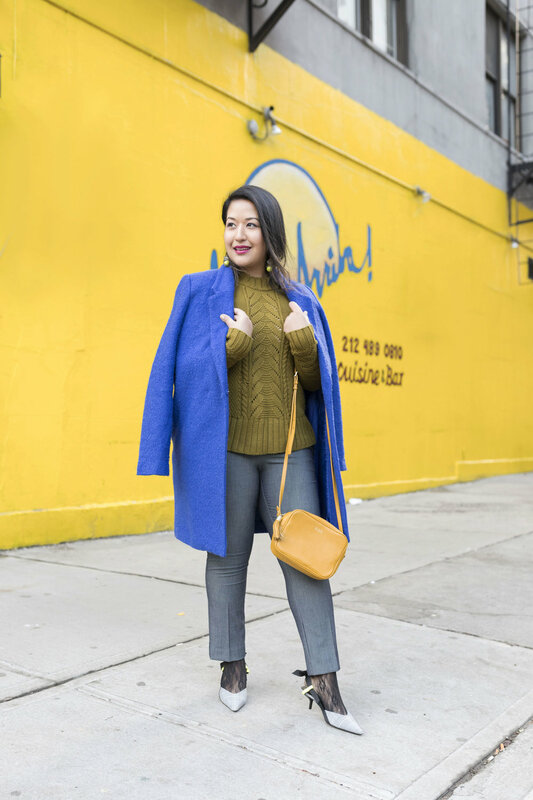 When it comes to colored coats, I believe that the simpler it is the better. Find a tailored coat with sleek clean lines. I prefer skinny lapels, no show pockets, and are about knee length. 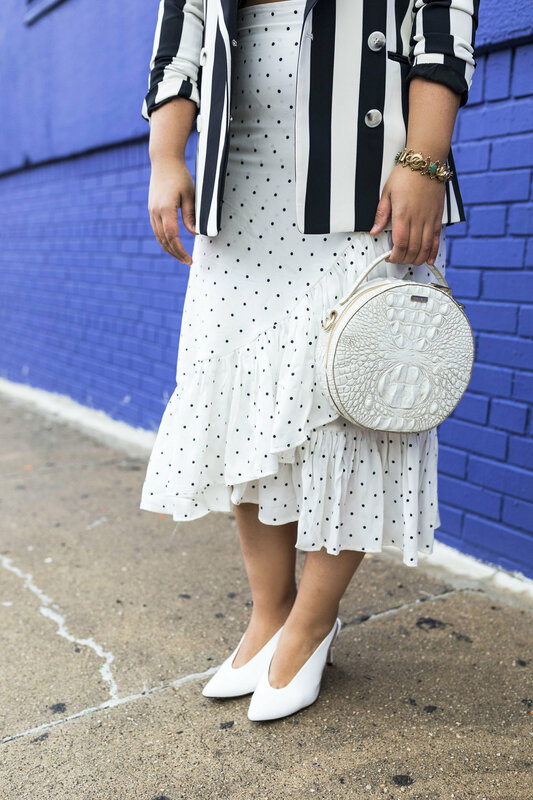 I recommend pulling in a fun print through your accessories. 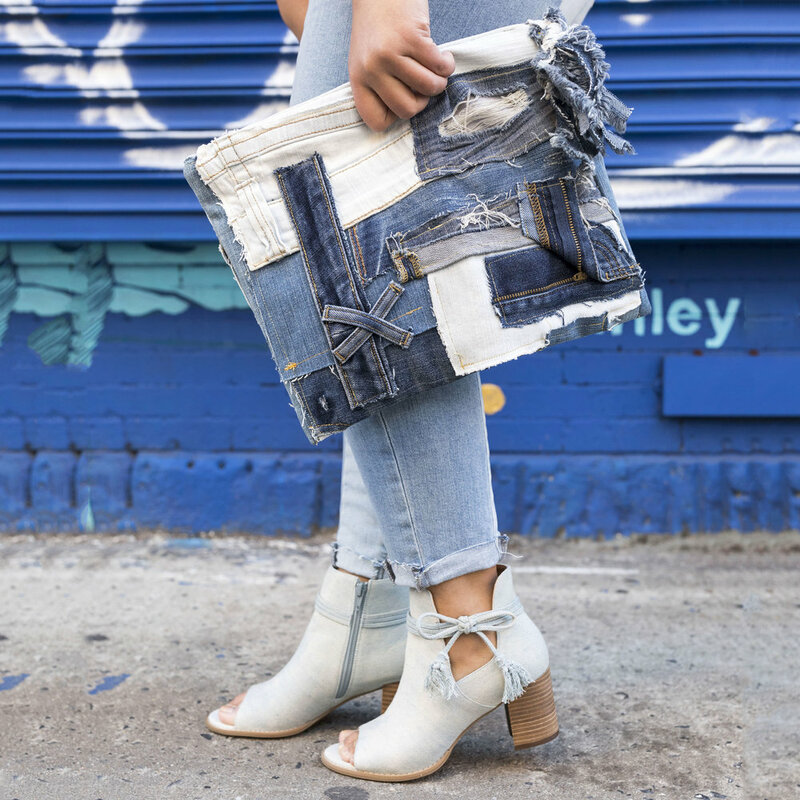 Try incorporating a checkered pattern through you shoes or bag. The print is still very professional yet very trendy. Bring attention to your eyes by using blue mascara for a hint of color. 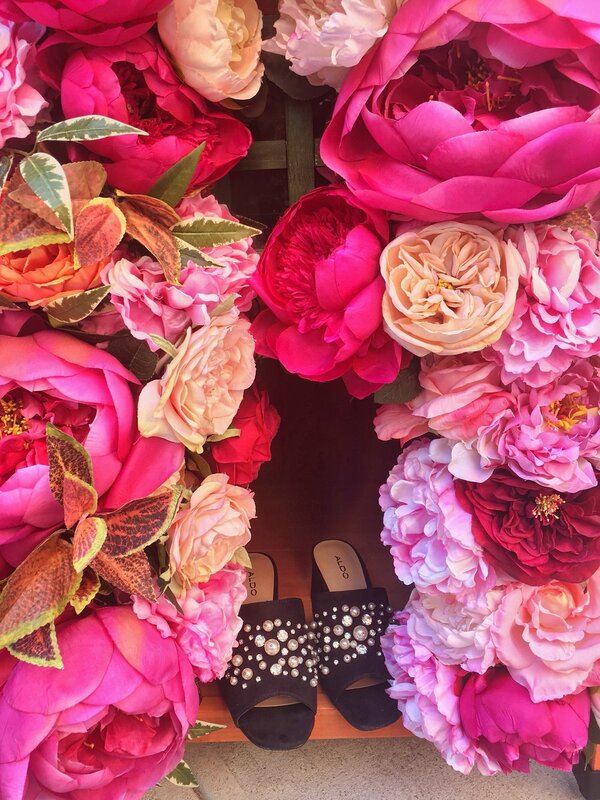 If you're feeling bold, add a fun lip color. I love dark pinks, burgundy, and red lip colors in the winter.